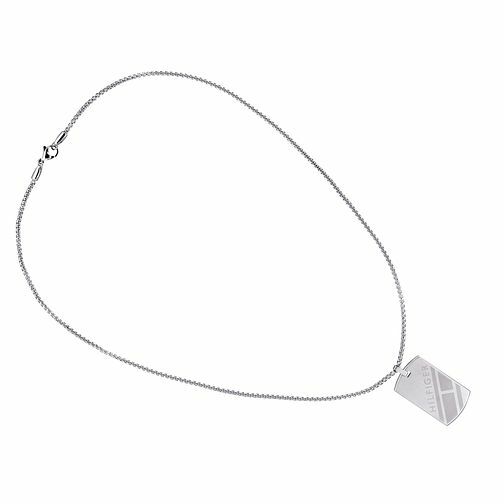 A classic men’s gogtag necklace from Tommy Hilfiger. With a stainless steel chain, brushed stainless steel dogtag etched with a polished flag and Hilfiger name, enamel Tommy flag striping and lobster clasp. This necklace measures 24 inches in length. A cool and casual accessory.